An Antares booster emerged from its hangar on Virginia’s Eastern Shore and rolled out to its launch pad Thursday for the first time since a rocket failure grounded Orbital ATK’s cargo launcher in 2014. 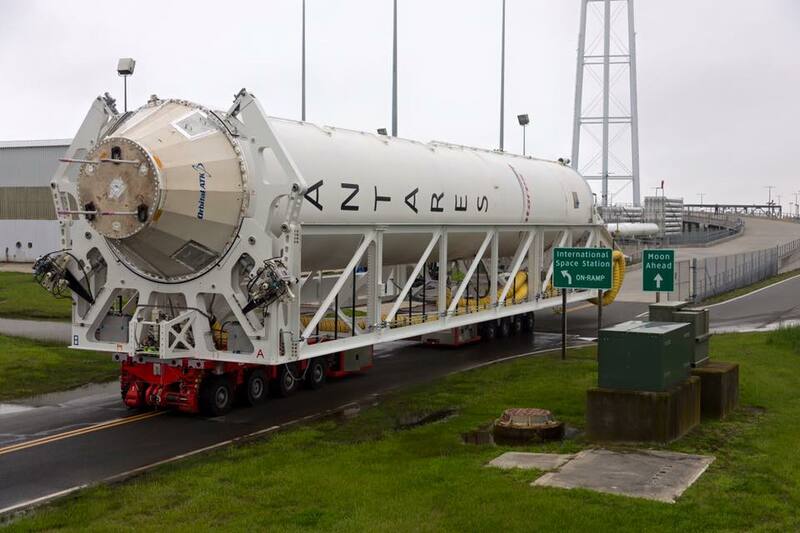 Mounted on an eight-axle mobile transporter, the Antares rocket’s first stage rolled about a mile from its Horizontal Integration Facility south to launch pad 0A at the Mid-Atlantic Regional Spaceport, a state-owned complex at NASA’s Wallops Flight Facility in Virginia. The rocket will stay at the launch pad for several weeks as Orbital ATK’s launch team puts it through testing. 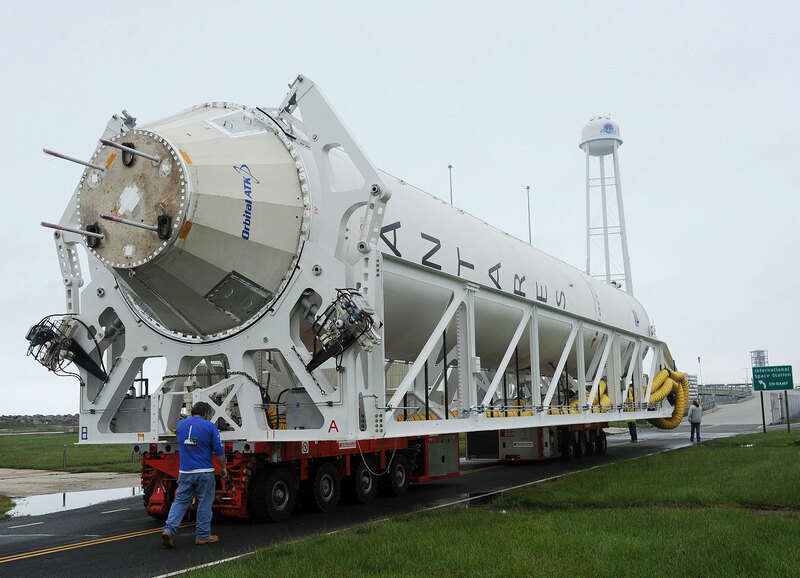 The Antares launch team will load propellants into the rocket for a wet dress rehearsal, then conduct a 30-second firing of the first stage’s RD-181 engines, perhaps by the end of May. Hold-down restraints will keep the rocket grounded during the hotfire test. If everything goes as planned, technicians will remove the Antares test booster from the launch pad and roll out a fully assembled rocket for a resupply launch to the International Space Station as soon as July. Orbital ATK switched to a new first stage engine for the Antares rocket after a catastrophic launch failure in October 2014 destroyed a commercial Cygnus supply ship on the way to the International Space Station. The failure grounded the Antares rocket while Orbital ATK officials replaced the engine model blamed for the mishap. Managers selected the RD-181 engine for future Antares launches. Made in Russia by NPO Energomash, the RD-181 engine burns a mixture of kerosene and liquid oxygen propellants. Two engines on the Antares first stage will generate more than 800,000 pounds of thrust at full power. That represents 13 percent more thrust than the pair of AJ26 engines flown on previous Antares flights. The RD-181 also burns its propellant mix more efficiently, giving the upgraded Antares the capacity to lift up to 25 percent more mass into low Earth orbit, according to Kurt Eberly, Orbital ATK’s Antares deputy program manager. No kerosene-fueled engine in the RD-181’s class is currently produced in the United States. The AJ26 engines were manufactured more than 40 years ago in the former Soviet Union for the ill-fated N1 moon rocket. 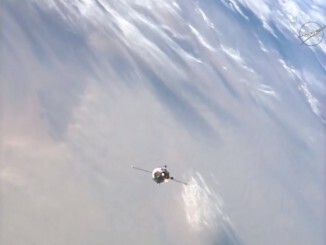 When the Soviet moon program was canceled, officials put the engines — called NK-33s in Russia — in long-term storage before Aerojet Rocketdyne imported the powerplants to the United States in the 1990s. The 2014 launch failure, which Orbital ATK blames on a liquid oxygen turbopump inside one of the AJ26 engines, caused officials to accelerate plans to select a new first stage propulsion system for the Antares. Orbital ATK holds multibillion-dollar contracts with NASA for up to 17 logistics launches to the space station. 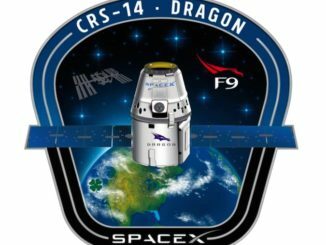 That figure includes 11 missions under a modified contract first signed by Orbital ATK and NASA in 2008, and at least six more flights in a follow-on commercial resupply deal announced earlier this year. The company launched two Cygnus supply ships on United Launch Alliance Atlas 5 rockets in December and March to keep cargo flying to the space station while the Antares rocket recovered from the 2014 failure. The Cygnus spacecraft launched in March will remain at the space station until June, when it will depart to clear a berthing port for the arrival of the next Orbital ATK cargo delivery mission, known as OA-5, as soon as July. 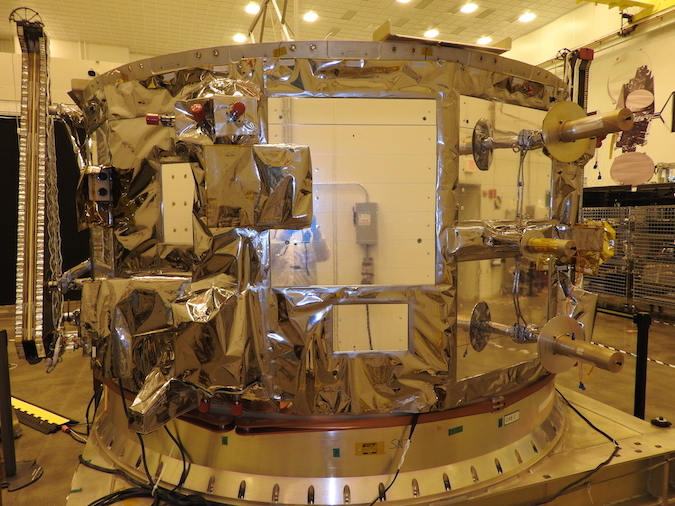 The pressurized cargo module for the next Cygnus cargo carrier arrived at the Virginia launch base in March from Thales Alenia Space’s factory in Italy. The spacecraft’s service module arrived at Wallops this week after it was trucked from Orbital ATK’s headquarters in Dulles, Virginia. 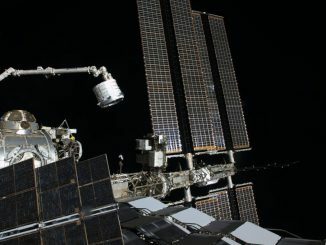 Ground crews will soon begin installing cargo into the Cygnus cabin for transport to the space station.